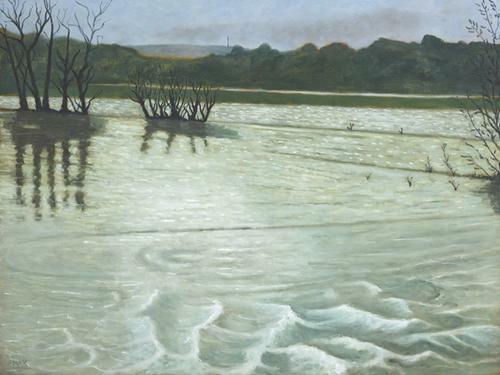 Stephen McKenna, The Barrow in Flood, 2009; oil on canvas, 120 x 160 cm / 47.2 x 63 in. The underlying theme of the exhibition is the artist’s responses to living and travelling in a number of countries in Europe, with some excursions to the former overseas territories of the European powers. The resulting paintings and drawings, made between 1980 and the present, reflect not only the cities, the landscapes, the people and the artefacts of the various countries, but also their history and the contents of their museums. In partnership with Hugh Lane Gallery, Dublin.